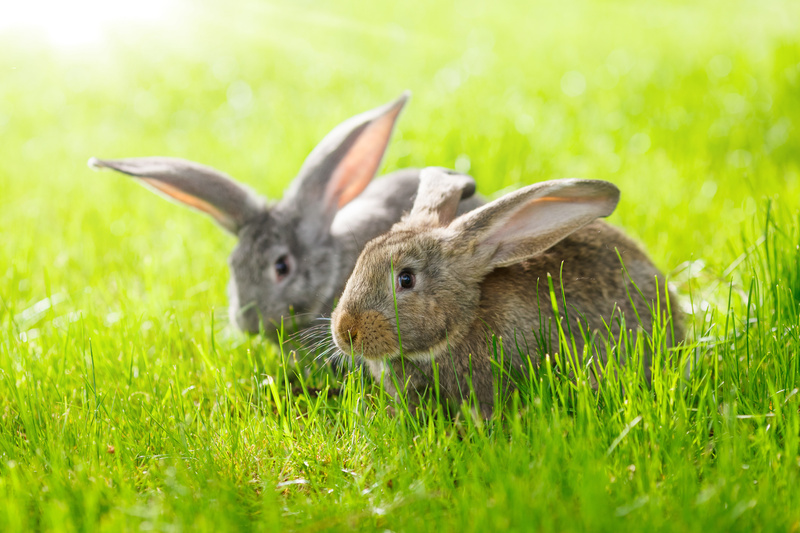 There is currently only one vaccination available for rabbits in New Zealand, that vaccination is for Calicivirus (also known as Rabbit Haemorrhagic Disease or Viral Haemorrhagic Disease). Calicivirus is common in New Zealand and one of the more common causes of sudden death in rabbits. How do rabbits get Calicivirus? Calicivirus can be spread in a number of ways. It is commonly spread from contact with sick rabbits or with their faeces, urine or nasal discharge. It can also be spread by the wind or be bought in on clothing, hay, cages or bowls etc. Small biting insects like mosquitos and flies can also spread the disease from rabbit to rabbit over long distances. After contracting the virus, the virus incubates in the rabbit for 1-3 days. As the virus replicates it causes hundreds of little clots to form in the rabbit’s body which causes damage to organs and blood vessels. Following incubation rabbits may start to show signs such as pain and neurological changes (seizures, strange movements etc. ), however a lot of rabbits show no signs except sudden death. Animals that die may have bleeding from their nose or eyes. Most pet rabbits that are exposed to the virus will die (about 90%). There are other common causes of sudden death in rabbits that can look the same so to work out whether Calicivirus was the cause of death a post-mortem at the laboratory is necessary. How do I prevent Calicivirus? Rabbits can be vaccinated from 8 weeks of age. They will need a booster at 12 weeks of age. If they have their first vaccination at 12 weeks old or older they will not need a booster again that year however they will be at risk of catching Calicivirus from around 6 weeks old till their vaccination. If you have any questions about vaccinating your rabbit please contact us, we are happy to help.